Everyone thinks about the future. 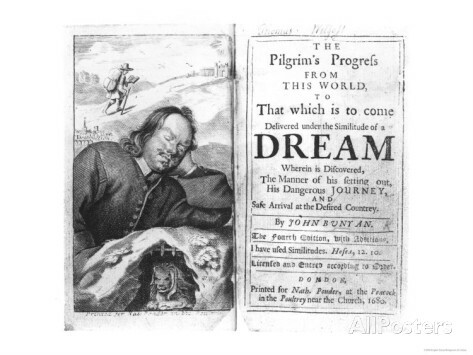 The dreams of the Pilgrims arriving in Massachusetts are no different from our individual aspirations for new possibilities and changing situations and circumstance. What new freedoms will be there,what will people be permitted to think, wear, eat, live or DO? My interests and passions to do what I can now to make things betters isn’t unusual. The company I keep all agree in increasing possibilities and making changes that benefit more people, not just me and my family. In the season of thanks giving, I’ve noticed the launch of a series of web sites matching wishful doers with need serving organizations, and in the process create social impact. The process used by these sites mimics many of the matching sites, whether its capital rich hedge funds seeking people needing to preserve and grow their capital, entrepreneurs on Kickstarter seeking funds to build their business or start their social impact match service. The technology itself minimizes the value of my personal network by making it possible for me to cast a wider net and build relationships that are not based on naturally limiting, real world contexts that form my identity, e.g. where I grew up or where I went to school, or my cultural, ethnic or religious ties. The stumble upon place or the sophisticated search to match my interests still rely upon individuals’ ability to influence others of the information’s value. The technology may be new but these resource matching problems are part of an ongoing cycle that doesn’t change, and the match solutions operate within the same system that create the resource gaps. Snow appearing on the ground signals another recurring, predictable change, as does the falling price of the iPhone. Outwardly, we show signs of adapting to this news. Where you stand in the continuum of variation in response changes your understanding of the most predictable of change’s magnitude. It also explains why not everyone seeks to incorporate or welcome the change in their life. When the obvious answer satisfies us, we ignore or suppress the possibilities that the change may be worth investigation. Changing temperatures or icy, snowy conditions difficult to miss and though we adapt and incorporate the obvious, we all adapt a little differently. Our experience colors our understanding and response to the change. Seekers go one step further. They consider the choices others make and wonder if that too may be worthwhile for themselves. They are curious about paths that open further possibilities or improve their status, conditions etc. Seekers both experience and confirm their responses to transition moments by first learning and listening to others before sharing their own perceptions. Going beyond their response to the change , they are conscious of the potential ripple effects. Some look harder to find the likely path, similarly they may try to get out front and position themselves to catch the inevitable fall of the lined up dominoes. They don’t merely watch the event unfold, they try to connect what they see to a range of possible experiences and look for possible variations that happen beyond their immediate vicinity, situation or context. Reporters, when covering breaking news for example, share or retell what others experience in moments of change. Often they are hip or shoulder deep in the same experience as it unfolds, yet, they leverage and try to take advantage of their experience. They try to reposition themselves for what will come next. There’s an art to reporting. It requires piecing many different perspectives together to fill in what the participants, experts or contributors immersed in the experience overlook, misunderstand and maybe fail to identify. Reporters are a special breed. Their descriptive reporting shortens the distance between their audience’s detached experience and the actions and activity of their present surroundings. Using their own senses to connect the meaning of other’s experiences they help their audience acquire a more complete, multifaceted view. Strategists and good consultants do this too. They leverage their experience while keeping one eye on the future. They also help those stuck in the present to connect, hope and inspire an alternative set of prospects. Their job encourages explorations, cuts the distance between present circumstances, progress and a rosy future for their client’s clients. The lookout on the Mayflower merely let others know what was in sight before those on board could see it. No one would call these lookouts strategists, or leaders. Lookouts can’t inspire people to acclimate, though they do warn them of what’s coming. Inspiration comes from a vision that transcends our fears and our expectations, not an easy task. Today technology changes and innovations come at all of us faster than our ability to fully digest the last ones. Some of the effects cross connect, meaning that adoption of one makes it impossible to ignore the next. Speed at which the connections happen make it simpler to stand by and avoid participating. No one is every fully ready for the future, but strategists can help in those moments of relentless change. their skills and experience naturally connect the dots, explore possibilities and overcome natural resistance. Knowing your desires or dreaming about an idyllic world won’t get you to the future, though it is an interesting way to start. Regardless of what comfort level and satisfaction you feel with the changes as they occur in your midst, you need to take a wider view. Challenge your experiences, raise your sensory awareness levels to uncover more possibilities. Changing your perspective, point of view or the dimension in which you’ve come at the problem guarantees your advantage as the future unfolds, and should increase the power of your risk assessment by virtue of your wider stance.